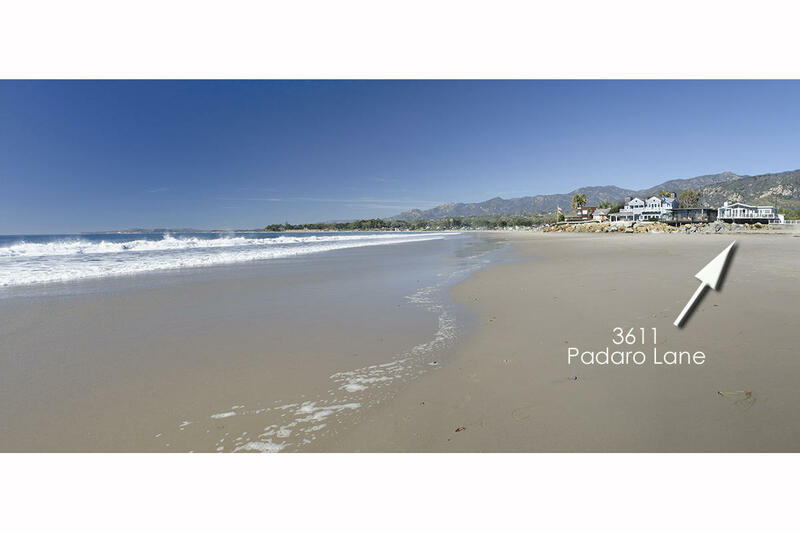 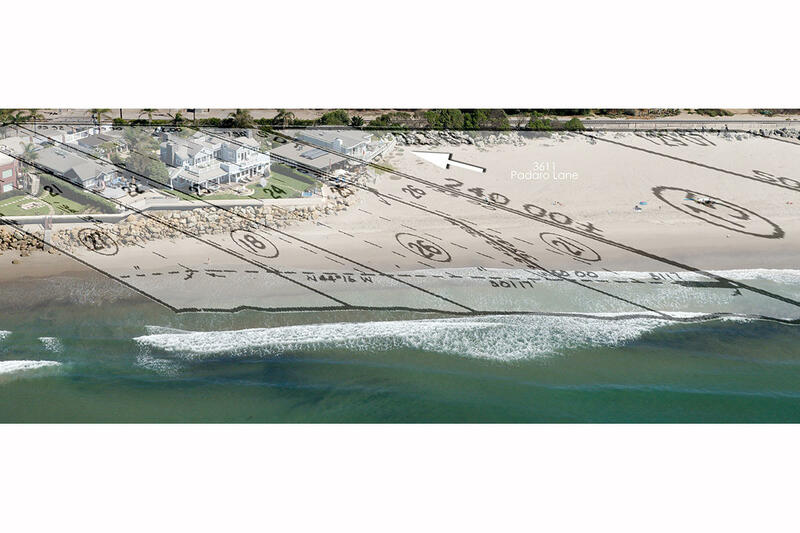 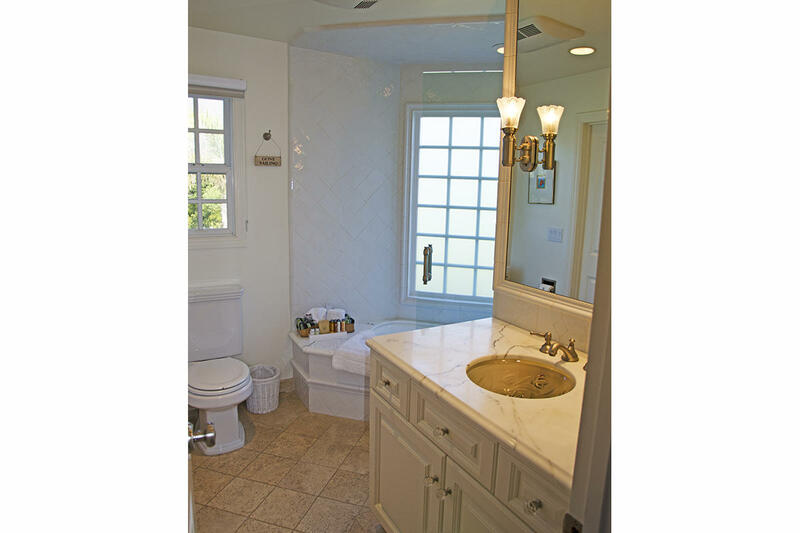 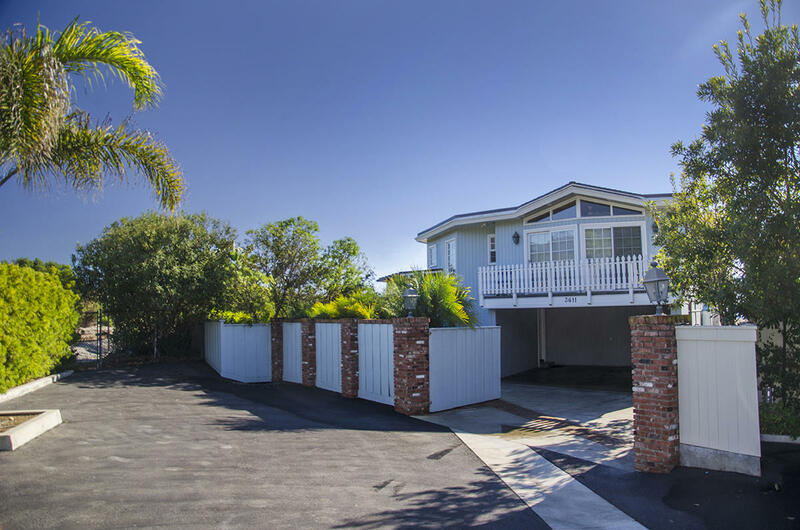 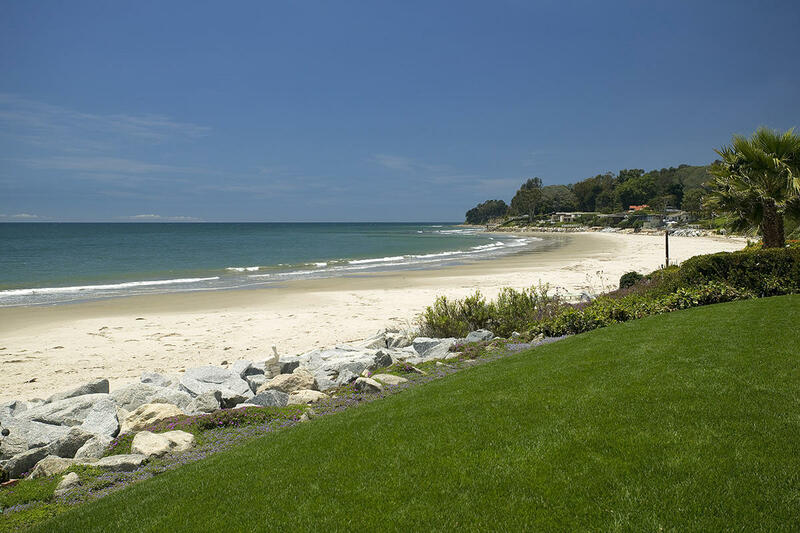 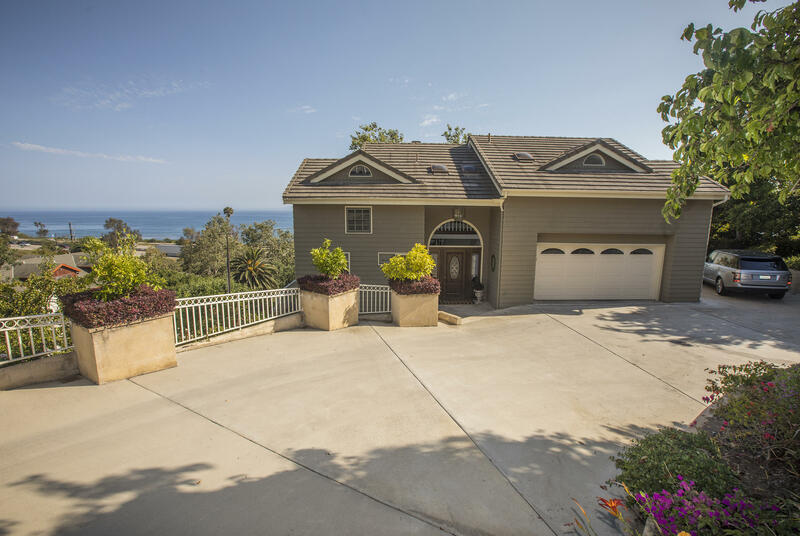 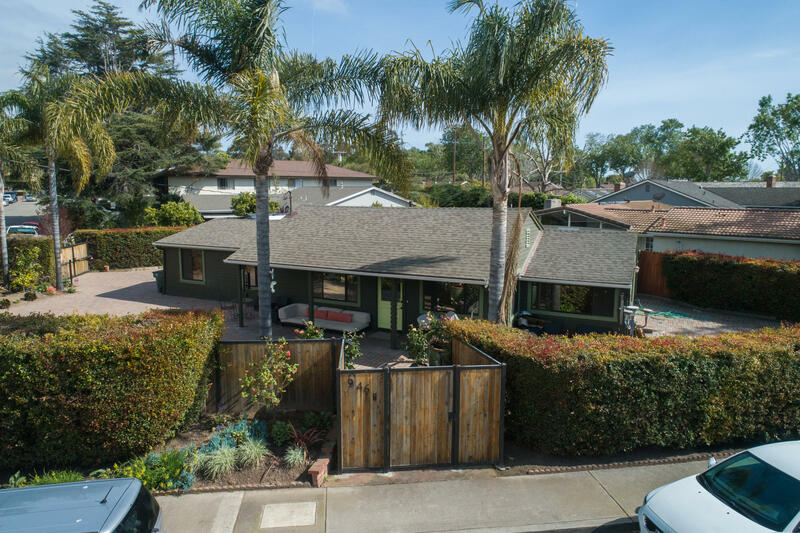 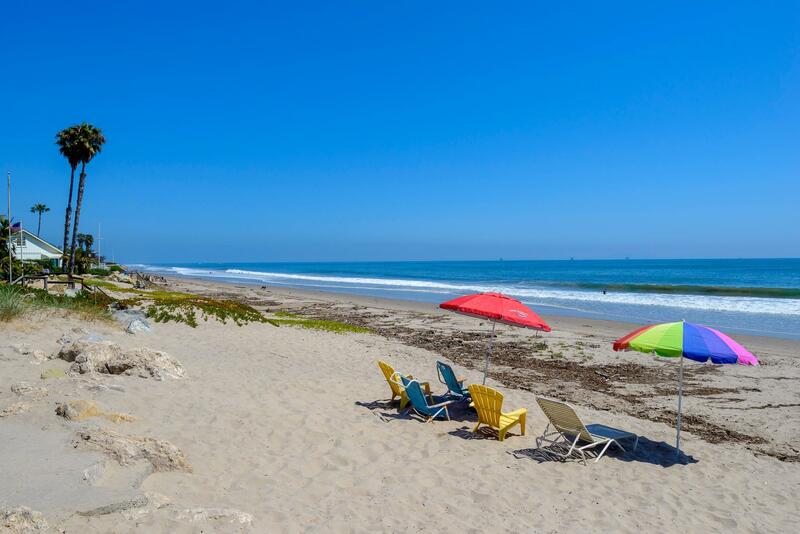 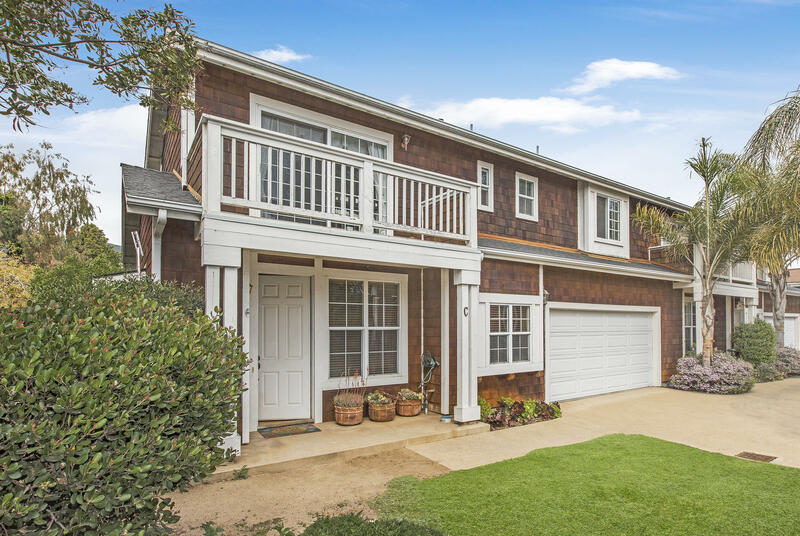 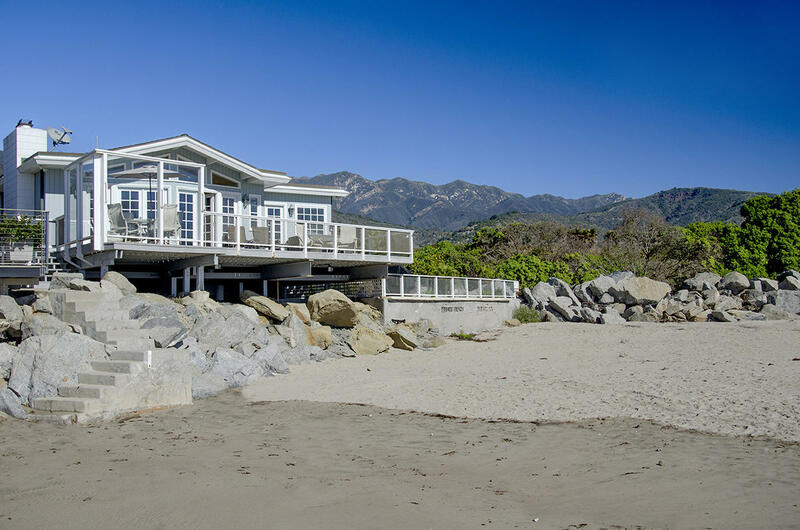 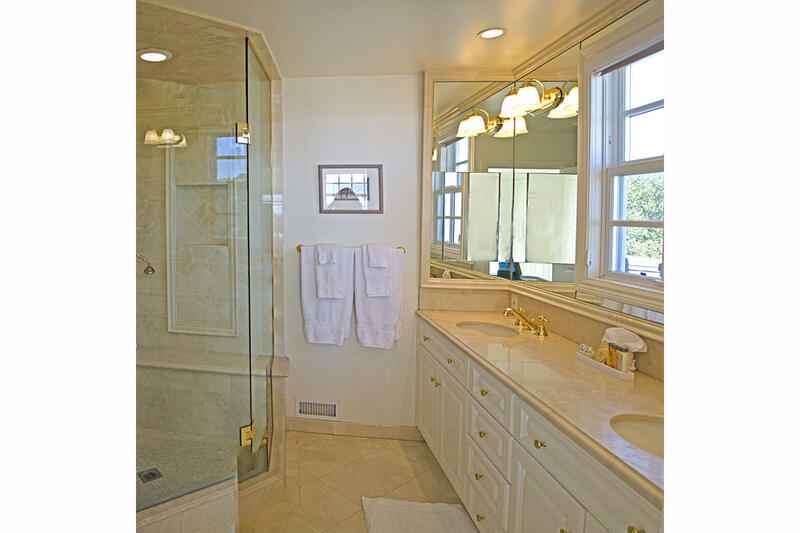 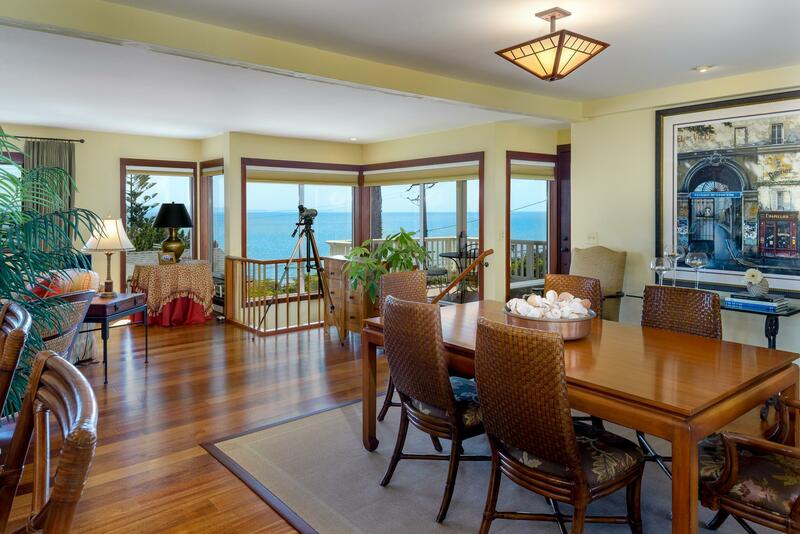 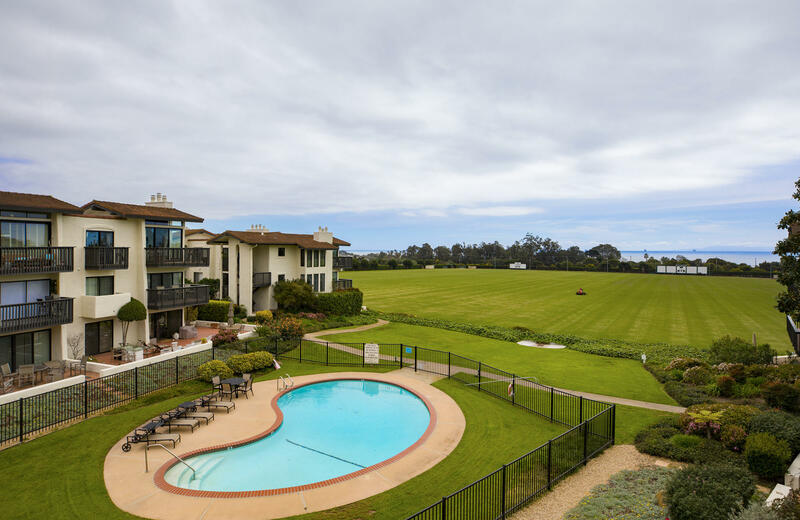 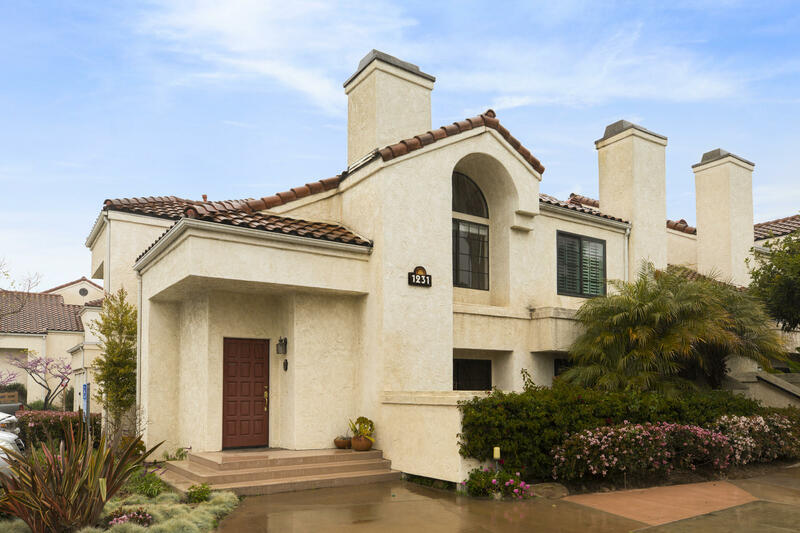 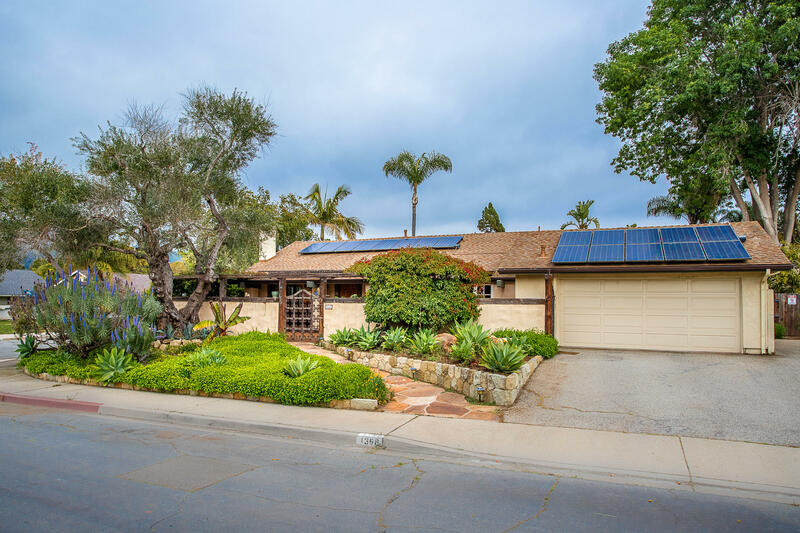 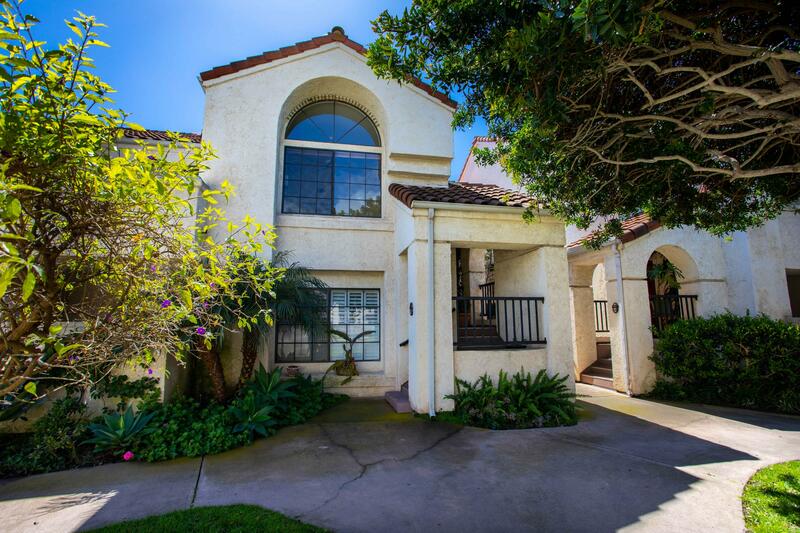 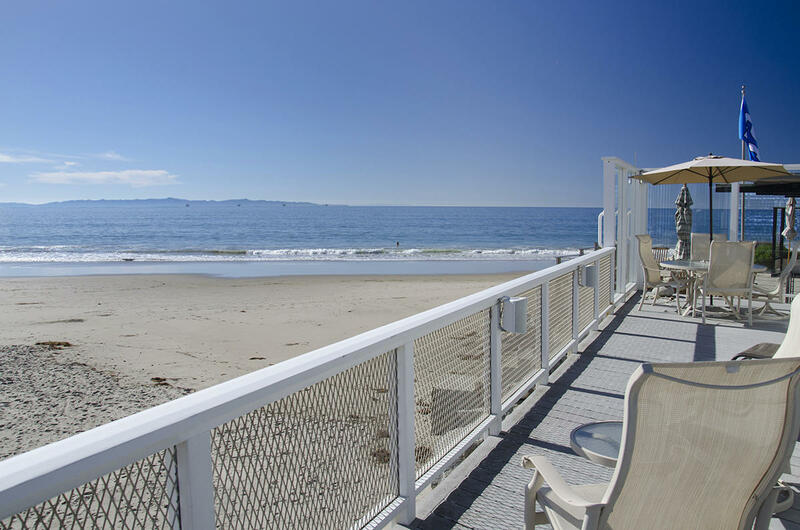 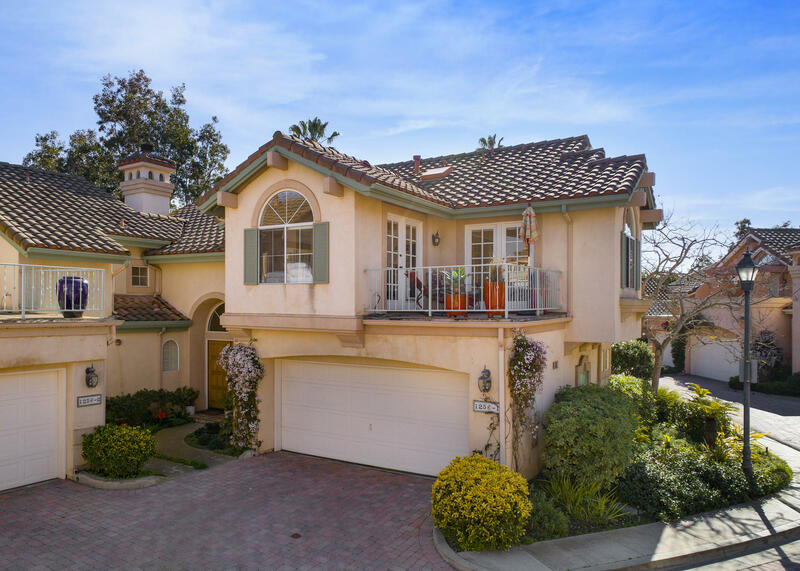 3611 Padaro Lane is a beautiful beach home located on the sand of Padaro Lane. 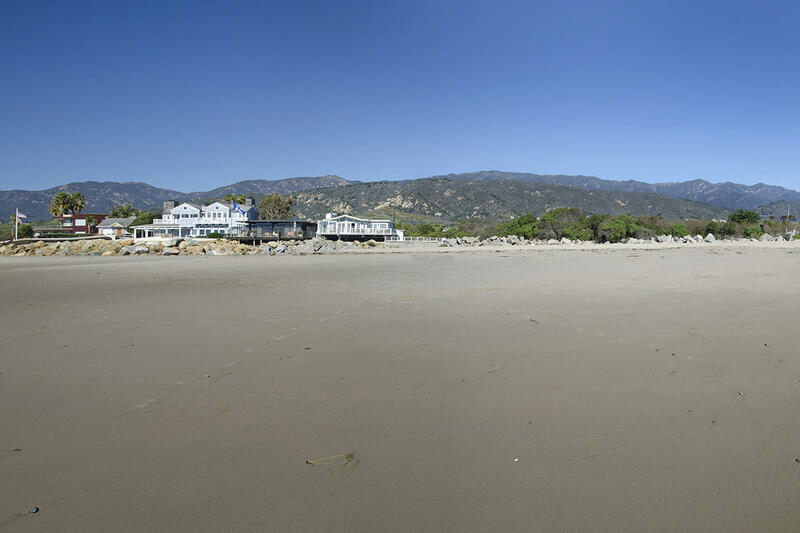 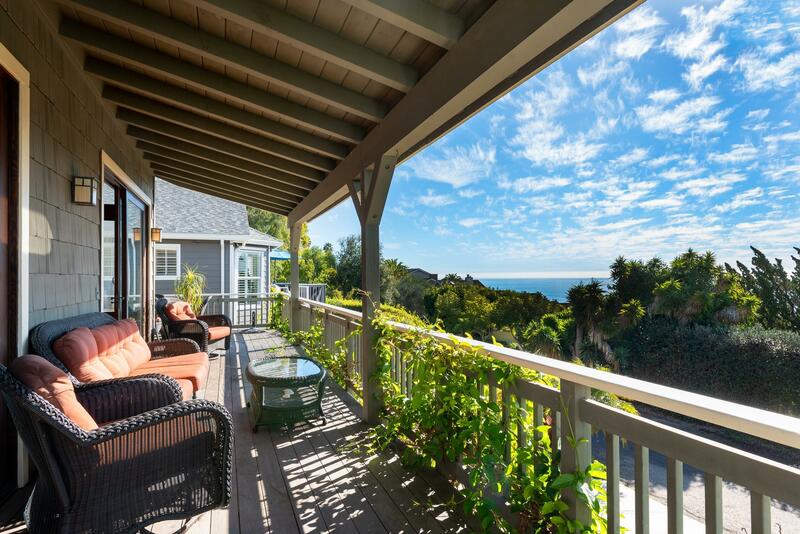 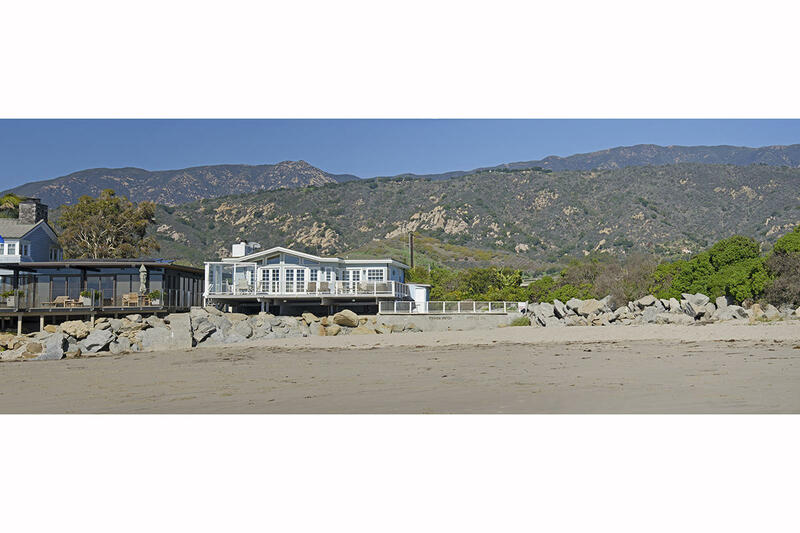 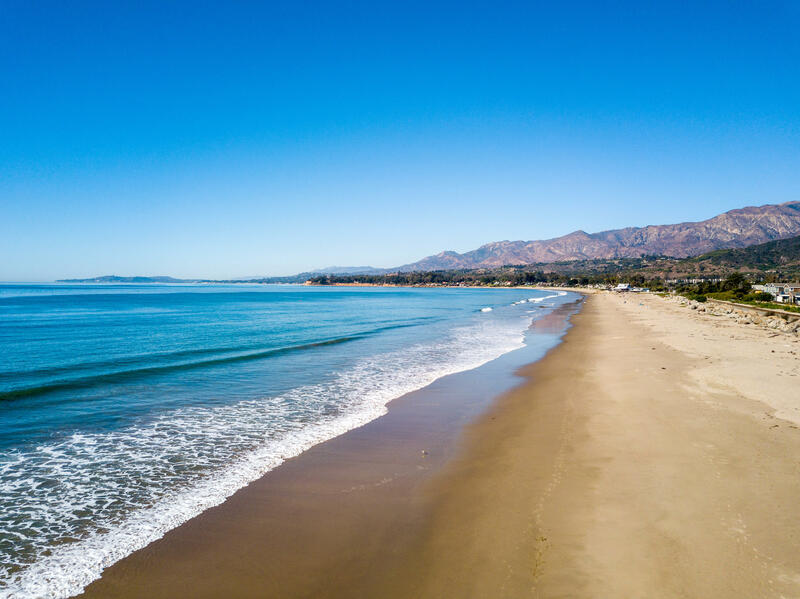 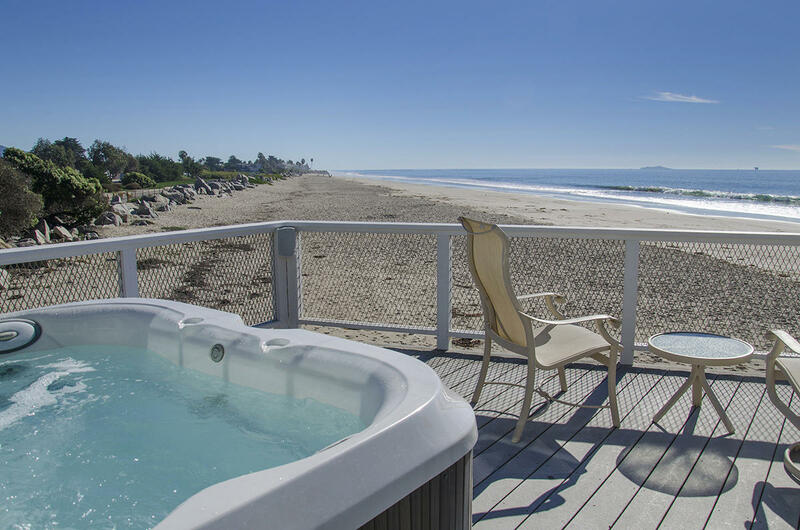 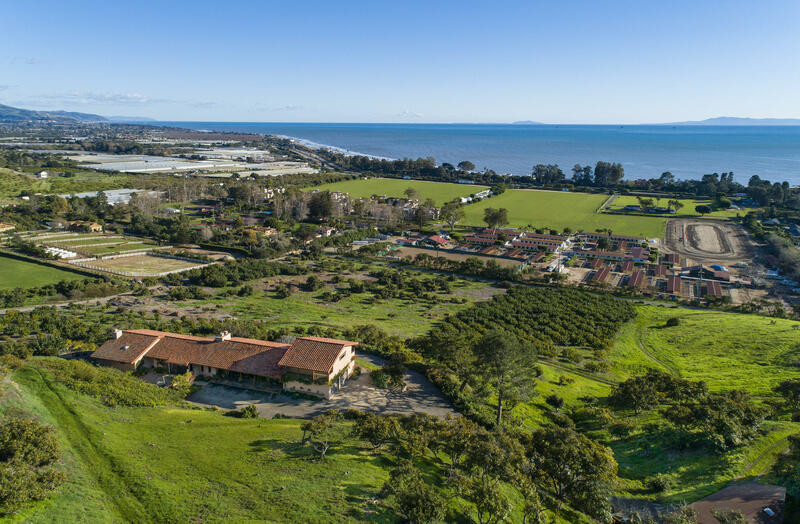 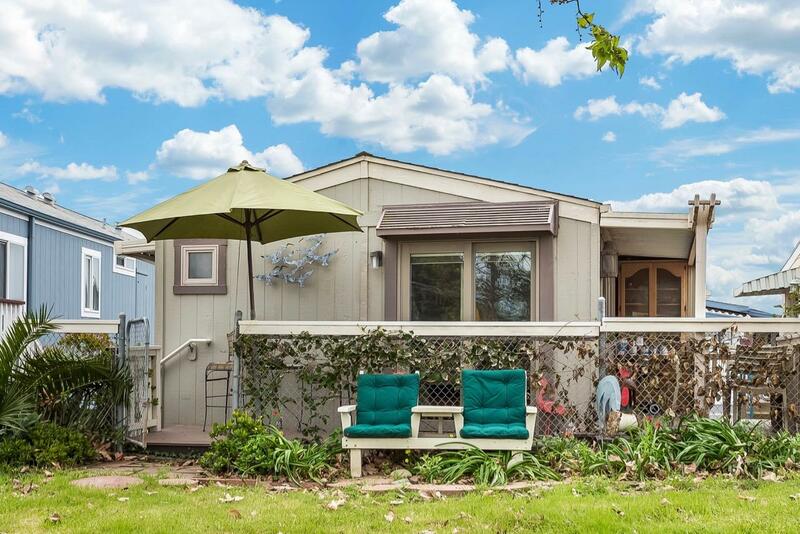 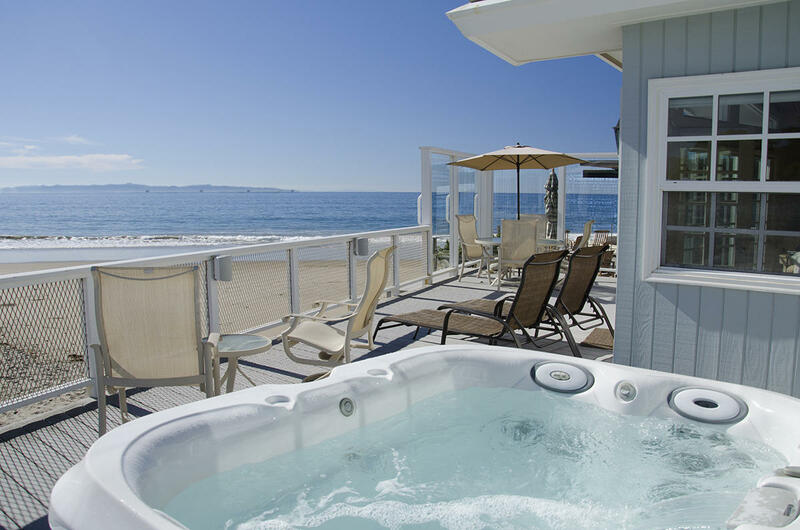 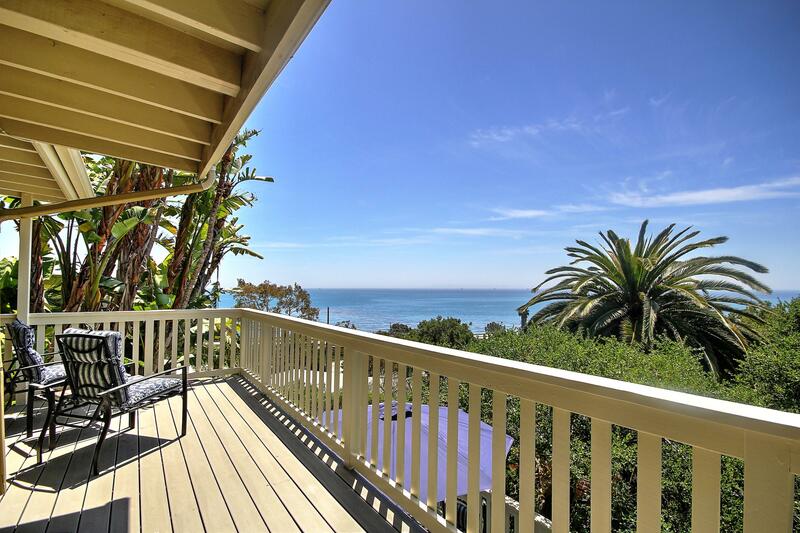 Situated on 0.7 acres with a vast 220+/- feet of beach frontage, this 2 bedroom/3 bath cottage offers panoramic ocean, island, coastal and mountain views. 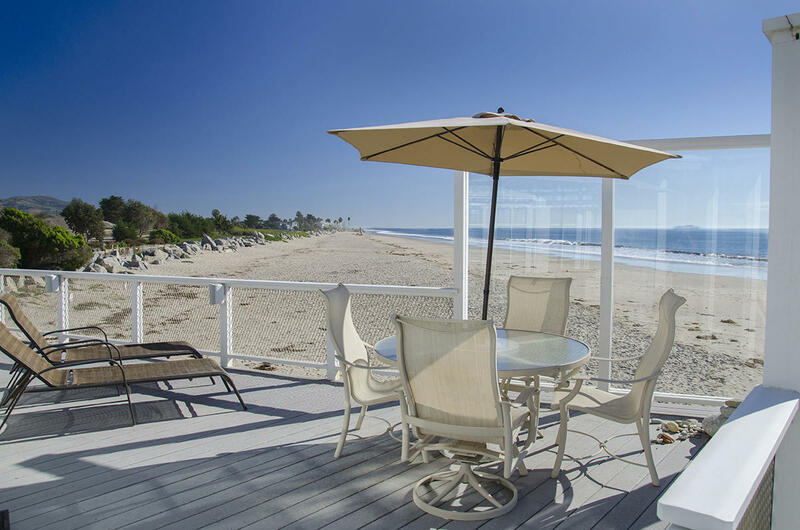 Ensconced behind entry gates with abundant private parking, this home has two wonderful decks for entertaining, grilling and relaxing in the beachfront spa. 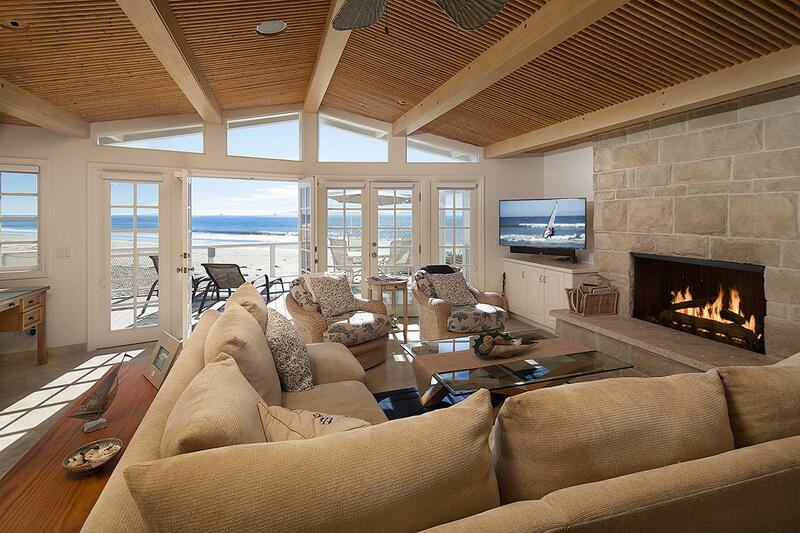 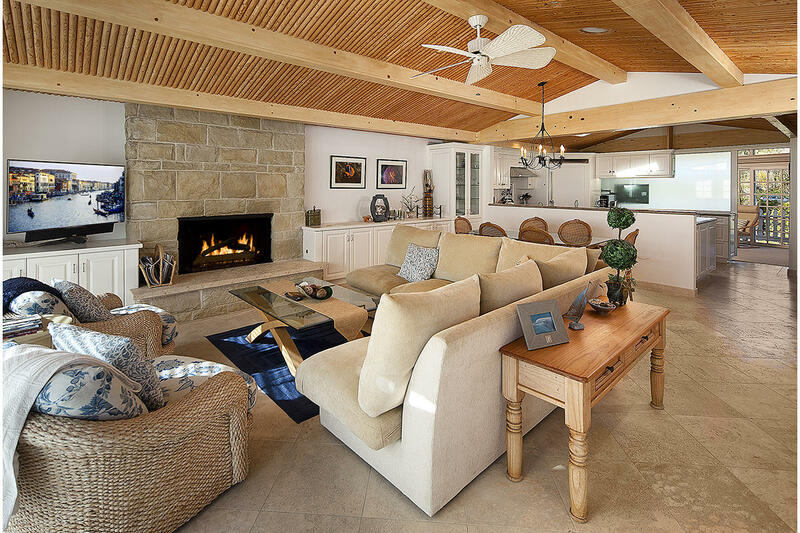 The spacious and bright ocean view living area opens onto an expansive deck for indoor/outdoor enjoyment, has a lovely stone fireplace, travertine floors and stylish open beam and pole ceilings. 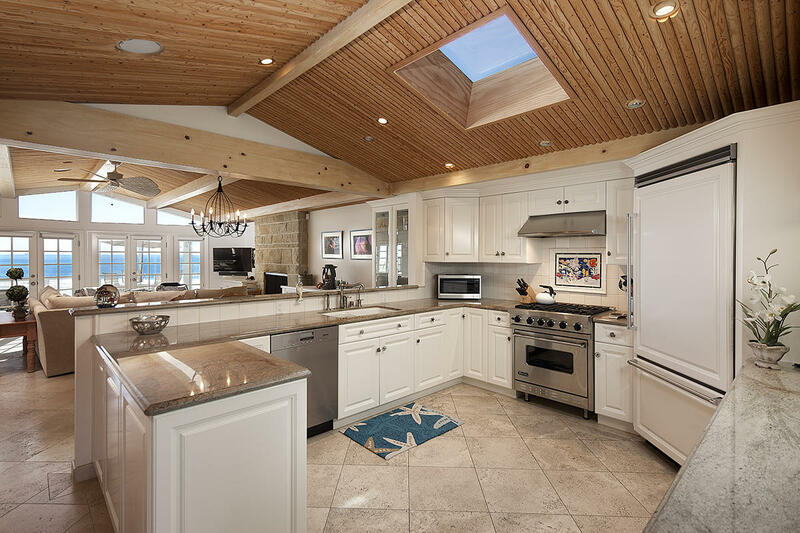 The open and airy gourmet kitchen has all Viking and Bosch appliances, granite counter tops and a skylight to add to the plentiful natural light. 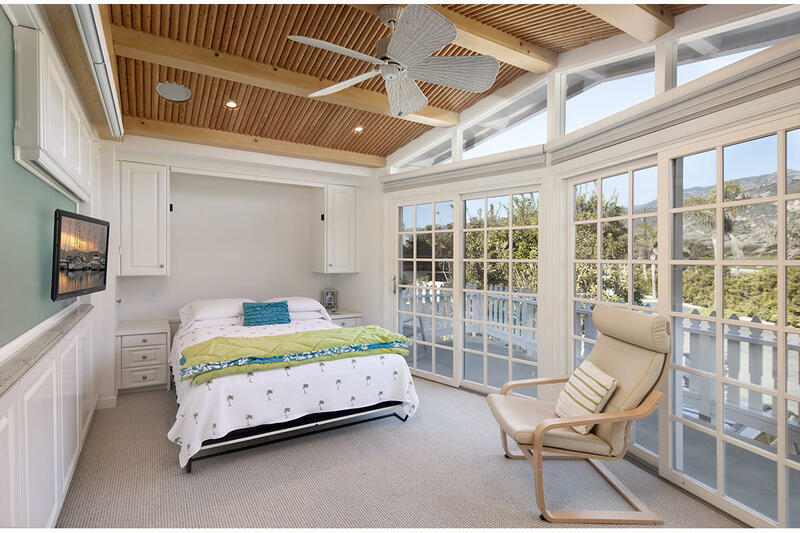 The master bedroom has a king bed, built in closets, flat screen TV, a work station that overlooks the ocean and an en-suite bathroom. 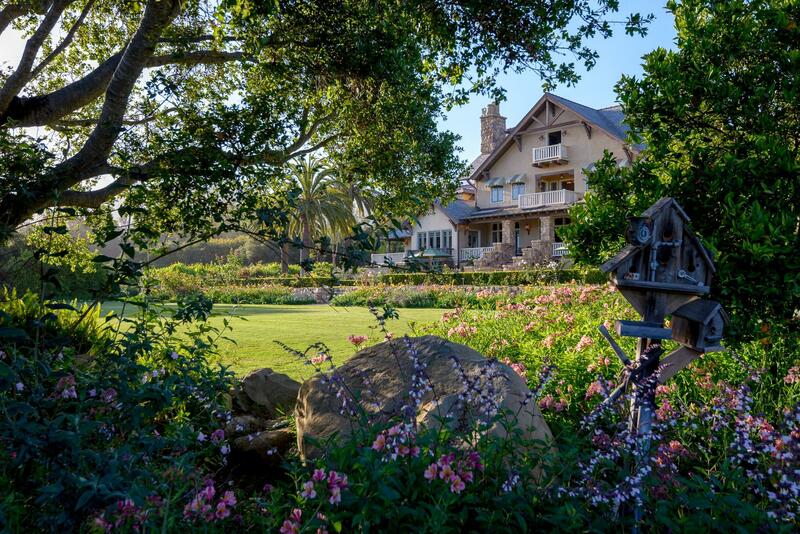 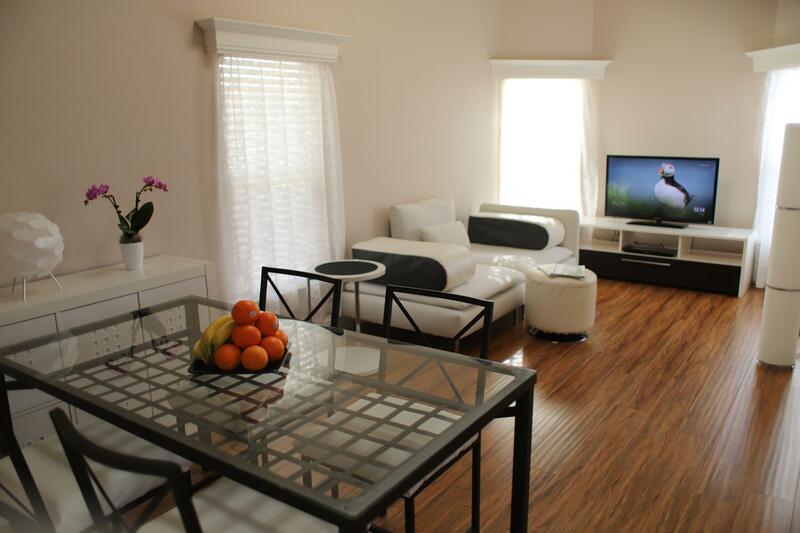 The guest bedroom has sweeping mountain views, a private balcony and attached bath with jacuzzi tub and shower. 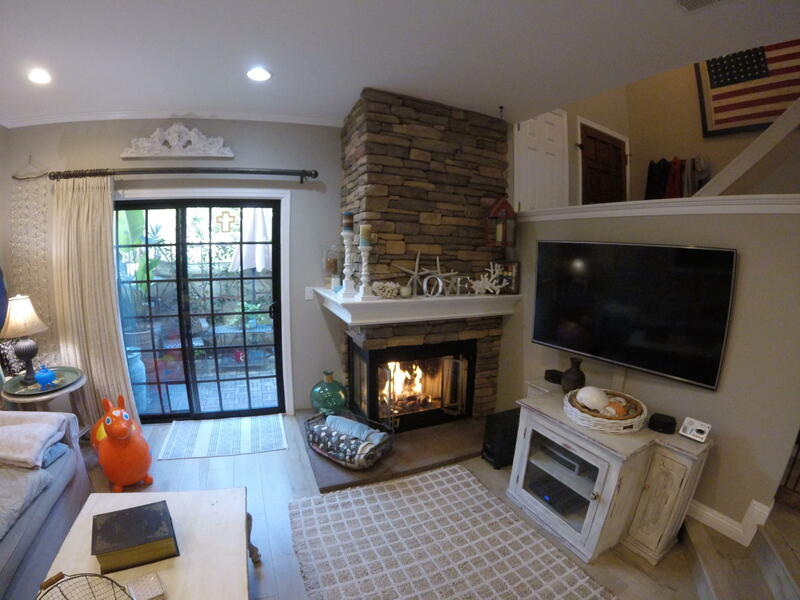 Downstairs one finds a well appointed laundry room and two car garage. 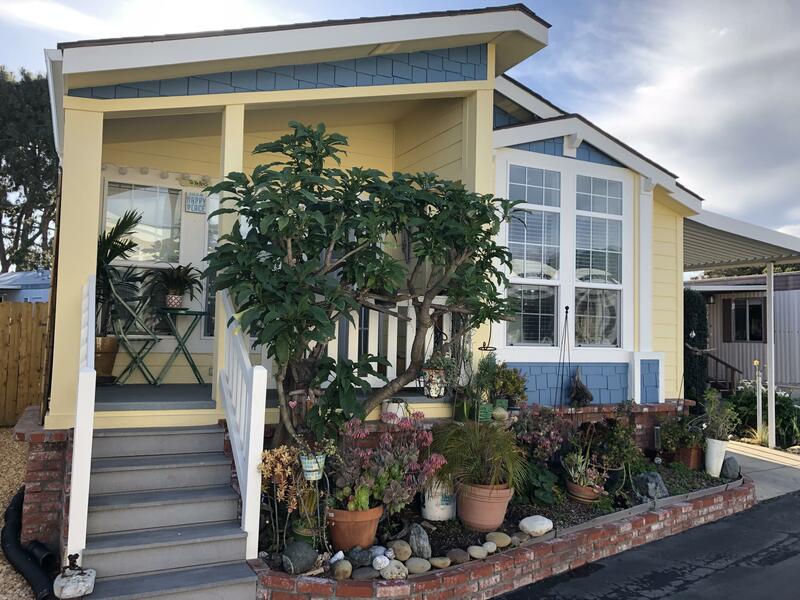 With its abundant French doors and windows offering dazzling views of the sea, this charming beach cottage exudes a casual coastal lifestyle and is perfect for those who enjoy luxury on the sand or a romantic get-away.